Dedication of “Birthplace of Electronics” Historical Marker, Palo Alto (June 20, 1970; 3 part recording). Click on the title of the recording for more information. 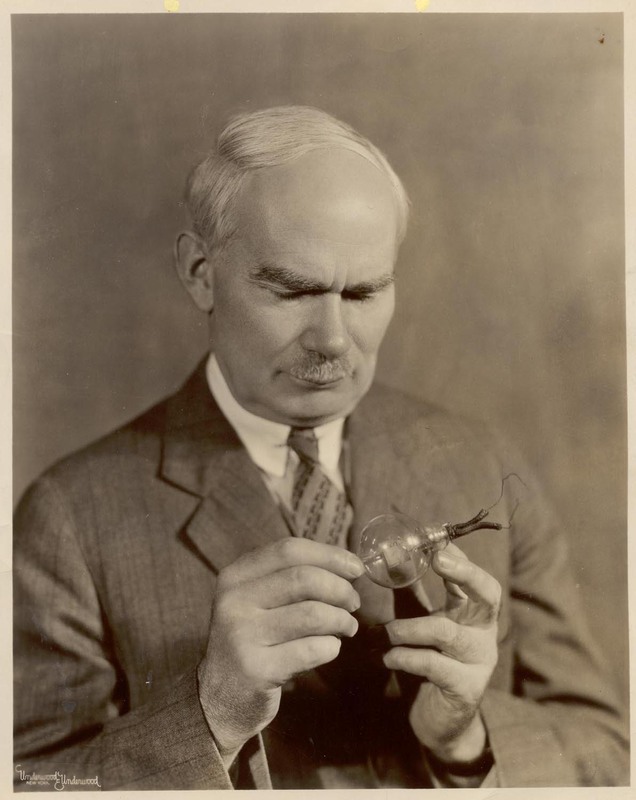 Lee de Forest with an example of his 1906 three-element vacuum tube, or "Audion," his most important contribution to modern electronics. Later developments in vacuum tube design and long-distance telephony (voice transmission) were based on this device. Few individuals better represent the vicissitudes of invention than Lee de Forest, an ambitious experimenter and inventor with more than 300 patents, but whose business ventures often failed or became embroiled in litigation. Born in Council Bluffs, Iowa, on August 26, 1873, de Forest grew up at Talladega College, where his father served as president. He enrolled at Yale’s Sheffield Scientific School, where he earned money from mechanical and gaming inventions, receiving his B.A. in 1896 and Ph.D. in 1899. 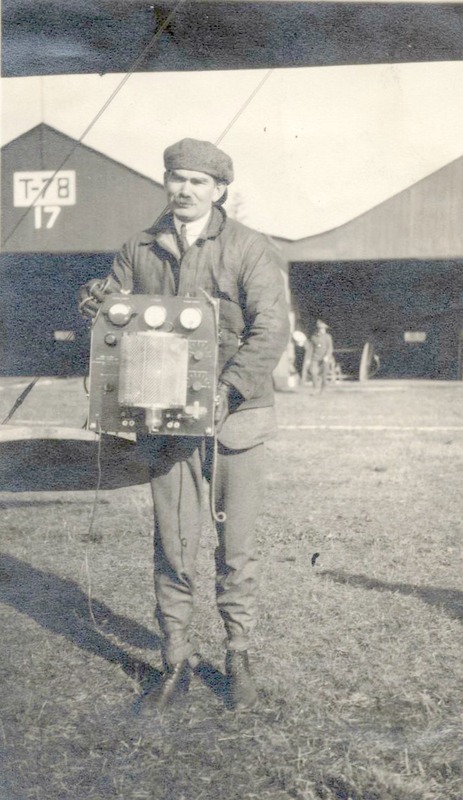 Lee de Forest holds a wireless radio receiver at Mineola Field, Long Island, New York, 1916, the year he demonstrated vacuum tube radiotelephone (voice) equipment in an airplane, using a trailing antenna. Soon after, the equipment was transferred to the U.S. Army Signal Corps. A lifelong innovator, de Forest first reinvented himself at a young Palo Alto start-up company named Federal Telegraph. There his 1906 three-element vacuum tube (triode) was recognized as a detector, amplifier and oscillator of radio waves, and de Forest’s career was reinvigorated. 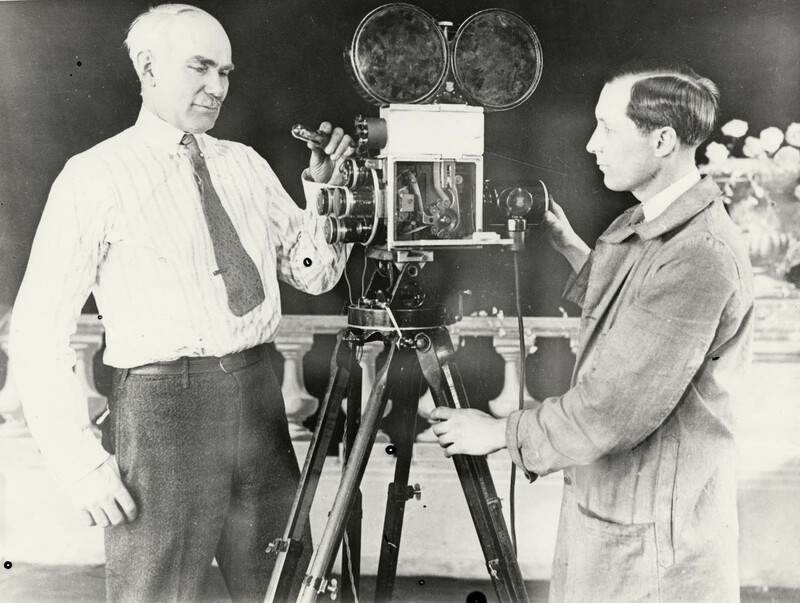 De Forest went on to play a significant role in broadcast radio and sound-on-film development during the 1920s. His work on the de Forest Phonofilm process, and the drama surrounding the development of sound-on-film systems, is the subject of a biography by Mike Adams, Lee de Forest: King of Radio, Film and Television (2012). De Forest received a Life Achievement Oscar from the Motion Pictures Academy in 1959/60 for his pioneering in the advent of “talkies.” He died in Los Angeles in 1961. Among the many who helped de Forest was a young Federal Telegraph technician named Douglas Perham. Today, the Lee de Forest papers are a part of the Perham Collection of Early Electronics at History San Jose, where they have attracted scholars from around the world. Some fifty linear feet of unprocessed records were arranged and cataloged in 2012 as part of a grant from the Council on Library and Information Resources. This large collection of papers, publications, photographs, and several pieces of electronics apparatus, spans from de Forest’s years at Yale University’s Sheffield Scientific School to his not-so-retiring years through the 1950s with his fourth wife, Marie Mosquini de Forest. Among the collection are de Forest’s correspondence, manuscripts, sketches, notebooks, patents, patent notes and legal papers, memoirs, speeches, photographs, and awards. 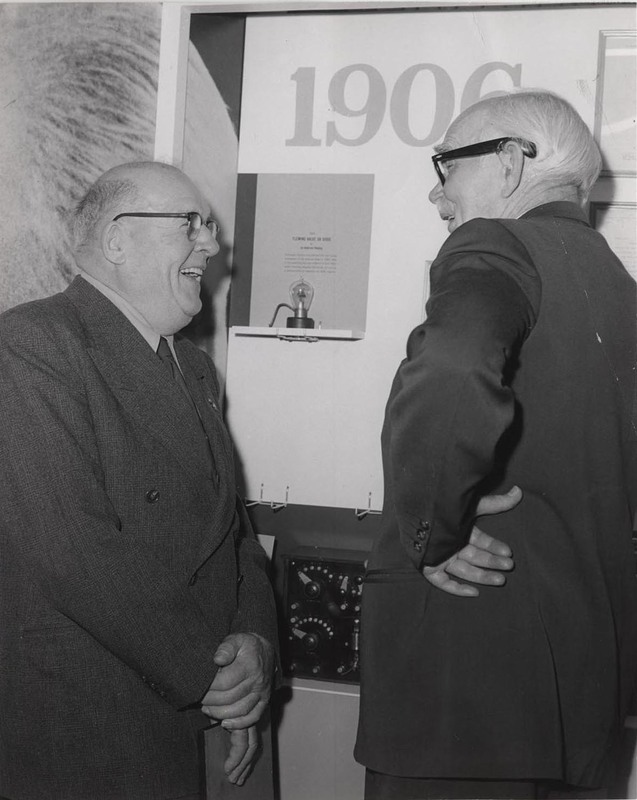 His papers also include correspondence with Lloyd Espensfield regarding de Forest’s autobiographical claims. An online guide to the de Forest Papers is available through the Online Archive of California (OAC); in addition, our catalog records are searchable through PastPerfect Online.